Cohosts for this month are Toi Thomas, T. Powell Coltrin, M.J. Fifield, and Tara Tyler! Wow. This retired thing gives me lots of time to write, but I lose track of the days and missed a couple of these this summer! I started traditionally published. I loved working with them. For me, it's all about the experience. When they closed their doors I had to think really hard. I'd heard some real horror stories about nightmare publishers. Did I want to risk it? I decided to go Indie, and I've never looked back. What's wonderful is that we can have it all. If you're set on traditional publishing but would like to do some Indie publishing, you can do that too. Which way have you gone or wish to go? Are you happy with the decision? Still following the trade route. Happy? Well, I'd like to be published but it will be worth the wait. Your books look very professional though. 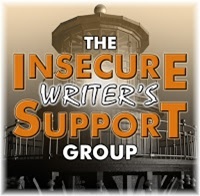 If you're not on the IWSG list anymore, you can just sign back up. I worked very hard on that, Alex. I think most authors are hybrids these days, but I have heard so many sob stories about publishers closing their doors and poor authors having to start from scratch... It's no wonder many of us are just keeping control, eh? There's so much truth in that! You said it perfectly...we have so many paths available to us and that's awesome. And the choice can change from one book to the next. Can sure do both indeed. I like the freedom and not running into those nightmares. That was what drove me to choose this path. I've really had to stretch though. Glad you found what's right for you. And you have had both experiences. Like Elizabeth said, you can change your choice if you want on a specific book. I've considered looking at traditional publishing for my portal fantasy since it's so different from anything else I've written, but I don't know. and so glad you found a good new home for publishing! And I love doing it full time now. I'm in limbo, undecided. I started wanting to be traditional published, got loads of rejections from agents, had success with short stories, and now am ready to revisit novel publishing again. I doubt I want to completely Indie pub, but some form of hybrid would likely work for me. You can always get your toes wet. In 2004 I started shopping around my first book and got nothing but rejections, and no one read my book! 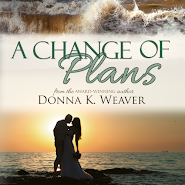 A friend suggested Kindle Direct Publishing and in 2013 I self-published. Since then I’ve published another novel, three short stories, and have a novella about to be published. It’s all been good. I like the freedom, and my repetitive strain injuries make it impossible for me to answer to anyone else. I also teach classes in self- publishing at three colleges too. It's a good time for writer's. There are different paths to follow nowadays, and it comes down to a personal decisions and preferences. And it's so liberating to know that, isn't it? I like the attitude about the experience. That's so true in many ventures. If something is working okay then we might as well enjoy the ride.